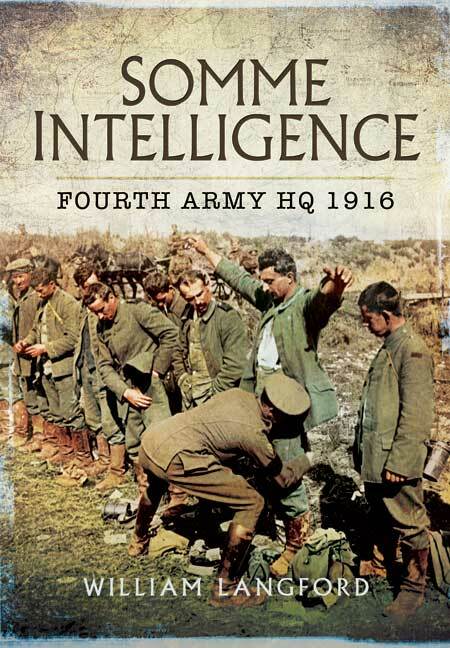 This is the original compilation of intelligence reports flowing into 4th Army HQ at Querrieu Chateau on the eve of the Somme offensive. Gleaned from a wide array of sources including PoW interviews, aerial observation, captured German documents and intercepted messages, these combined to give the Generals planning the Big Push an overly optimistic picture of crumbling enemy defences and plunging morale. For the Somme offensive, British Fourth Army headquarters under General Sir Henry Rawlinson was situated in a chateau at Querrieu on the Albert-Amiens road. In the months of build up to Haig’s Great Push a steady flow of intelligence was being compiled; captured German documents, intercepted messages, prisoners’ letters, diaries and information gleaned from prisoner interviews were entered into foolscap-size ledgers where they could be perused by the planners. The hand-written journal of intelligence reports was secured by a former soldier of the 11th Battalion, East Lancashire Regiment, (Accrington Pals), Harry Platt of Burnley. In 1916 he was a sergeant working on intelligence duties at Fourth Army GHQ. In 2002 the journal was lodged with the Imperial War Museum at the instigation of historian William Turner, military historian and author of books on the Accrington Pals. As the reader goes through these reports it would be helpful to keep in mind that members of the British staff at Querrieu, including Generals Haig and Rawlinson, would have had their impressions coloured by the words you are reading and doubtless their optimism for a successful outcome to the Somme offensive greatly enhanced. They would have noted the effect the British bombardment was having; dominance of the Royal Flying Corps as its machines seemingly operated unmolested over the trenches; growing unrest in German cities as food shortages drove the populace to riot; and the relentless call-up to the colours of ever-younger youths as that nation’s manhood bled in the great battles taking place.